These stunning gardens, the most popular tourist attraction on Vancouver Island, are a short drive from British Columbia’s sunny capital of Victoria, and pack a lot into a small space. The Rose and Sunken Gardens are especially stunning, and the pathways slope moderately up and down pristine, landscaped hills planted with, among other flora, 280 varieties of roses. The low-resolution picture below was taken in my pre-digital camera days; I would like to return around Christmas not only to improve upon such pictures but also to take in the holiday decorations, said to be endorsed by Santa Claus himself. And can you imagine such a place beneath a fresh coating of snow?! 800 Benvenuto Avenue, Brentwood Bay, BC V8M 1J8. Open daily until 4 p.m. in winter and 10 p.m. in mid-summer. Fifty-five private acres, belonging to the Cheek family of grocery distributors, today function as a combination art gallery and botanical garden. 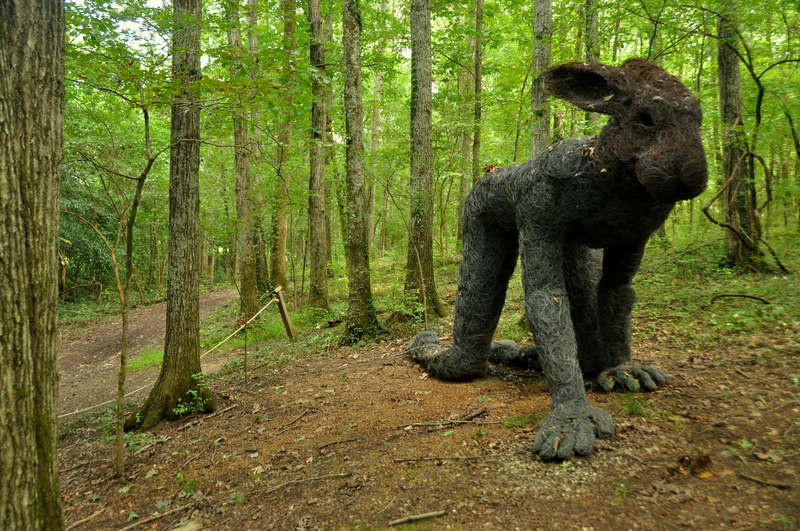 Most of the classical art is concentrated in the Victorian-style main house, while contemporary sculpture art, often changing, dots the forested gardens. The Shōmu-en Japanese Garden, or Pine-Mist Garden, an oasis of calm, is worth seeking out, as are the forest trails along the periphery. That being said, you may wish to linger longest at the terraced Boxwood Gardens, beneath the main house. As with the aforementioned Butchart Gardens, Cheekwood is said to have a glorious display of holiday lights. 1200 Forrest Park Drive, Nashville, TN 37205. Closed on Mondays and on federal holidays. Just east of Pasadena lies Southern California’s best botanical garden. The Huntington, for short, houses a fine collection of historic manuscripts, a finer collection of American and European art, and an absolutely superb acreage of Desert, Australian, Chinese, Japanese, and Rose Gardens. Stroll through a robust desert landscape of 5,000 diverse plant types as lizards sunbathe on the rocks. Kick back beneath shady eucalyptus trees. Pose for pictures atop the impossibly-semicircular Japanese drum bridge. Head indoors for a bit of culture; the library displays, among other gems, one of just 11 Gutenberg Bibles still in existence, while Thomas Gainsborough’s “Blue Boy” is the star attraction of the art gallery. 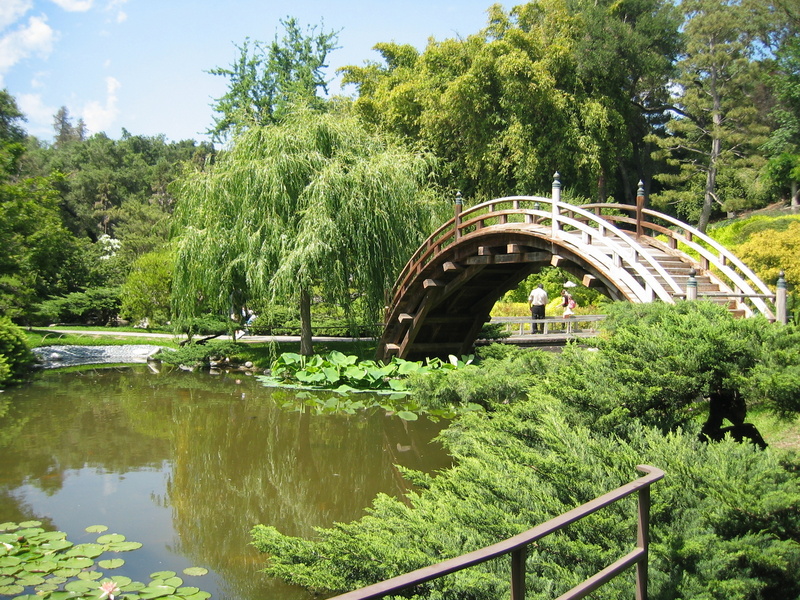 A few miles further up the road, the Los Angeles County Arboretum & Botanic Garden, in Arcadia, also merits a visit. 1151 Oxford Road, San Marino, CA 91108. The Huntington is closed on Tuesdays, and because of the considerable traffic it brings into otherwise-residential San Marino, locks up promptly at 5 p.m. Wednesday-Monday. Admission is pricey at $25, so arrive early to get your money’s worth. The Kew, as locals call it (pronounced “queue”), in western London, seemingly just a stone’s throw from Heathrow, is one of the world’s largest botanical gardens. The Kew is said to have over 30,000 varities of plant life, and its own police force. 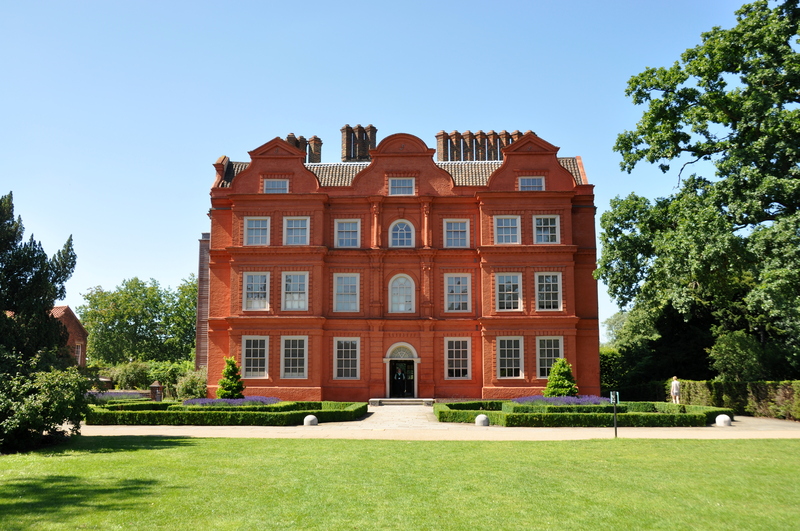 British royalty has a stake in the running of the place, as Kew Palace and Queen Charlotte’s Cottage, on the grounds and open for touring (separate admission ticket required; limited opening hours) were each originally built or purchased by King George III. The palace and cottage are just two of many buildings that dot the ground; others include art galleries, a ten-story pagoda, and several greenhouses, including the Victorian-era Temperate House, the largest building of its kind in the world. The Kew was named a UNESCO World Heritage Site in 2003. Guarantee: you will not see everything in single visit. Kew Gardens Tube station is just 400 meters from the Victoria Gate entrance. Open daily under 7 p.m. in summer and 3:30 p.m. in winter. Audubon Park is one of the green lungs that keeps the Memphis air – humid and with a lingering reek, courtesy of the Mississippi River – breathable. Much of the park is used for golfing and fishing, but the southeast quadrant, some 96 acres in all, is home to the Memphis Botanic Gardens. 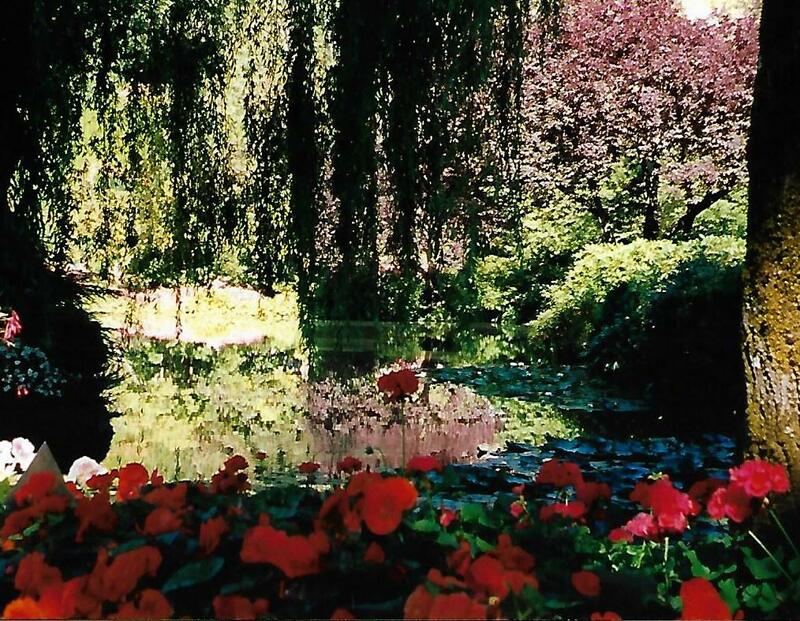 You could almost get lost here, and the hours pass quickly as you stroll through the first-rate Japanese Garden of Tranquility, complete with koi pond, and the Anne Heard Stokes Butterfly Garden, with its perennials and Living Gazebo. 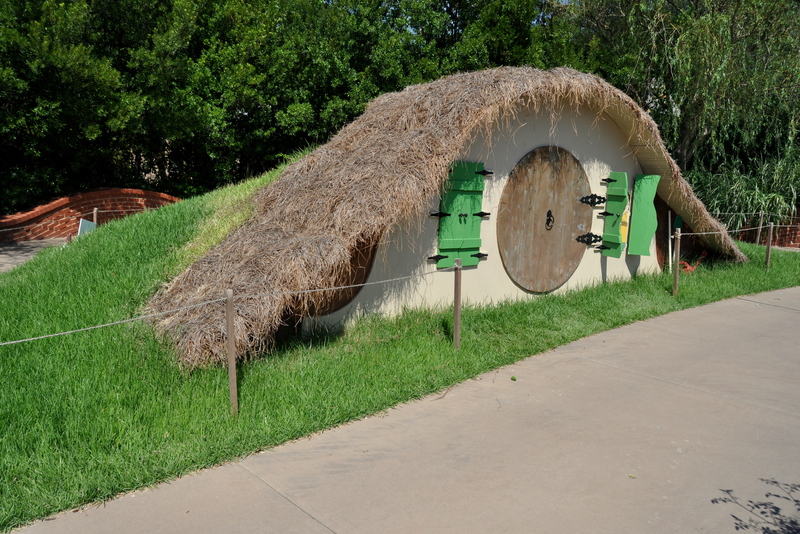 The John D. Canale II Rose Garden, best in late spring before the extreme heat kicks in, was recently renovated to host weddings as well, and a short walk from here takes you to My Big Backyard, a delightful, interactive children’s garden with Hobbit homes and tree houses. 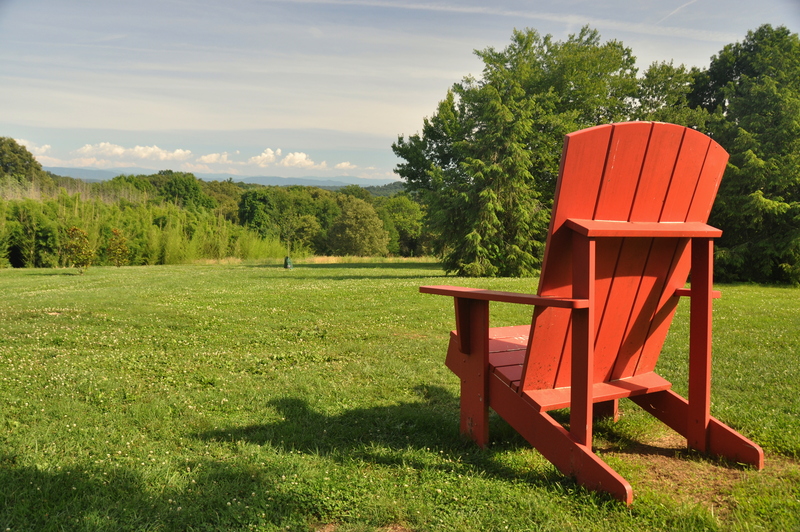 If you finish early, check out the adjacent Dixon Gallery & Gardens, a 17-acre sculpture garden built around a gallery of local and Impressionist art. 750 Cherry Road, Memphis, TN 38117. Open daily except Thanksgiving, Christmas, and New Year’s Day. A visit to Sydney’s Royal Botanic Garden, the oldest scientific institution in Australia, hardly feels like academic work at all. 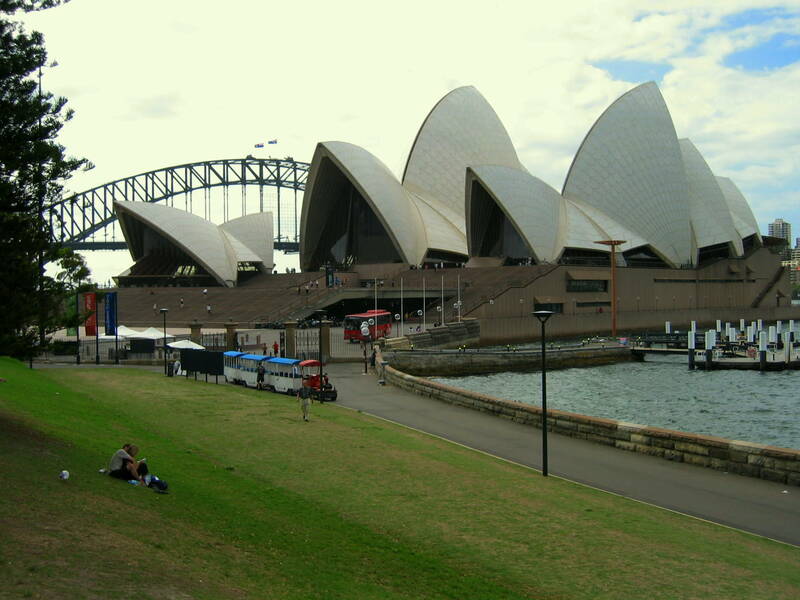 For one thing, it sits directly between the Central Business District (CBD) and the multi-masted Opera House of Oceania’s largest city, so the setting is as picture-perfect as it is convenient. (The iconic Sydney Harbour Bridge peppers countless millions of pictures taken here by tourists from around the world). For another thing, the attractions here – free to the public, natch – are a delight to explore and behold. The Conservatorium of Music and Government House buildings, in the Upper Gardens, look like proper castles, while the ponds teem with life year-round, courtesy of the region’s mild climate. Finally, sunset from the promontory viewpoint known as Mrs. MacQuarie’s Chair, northeast of the gardens, is almost painfully romantic. Mrs. MacQuarie’s Road, Sydney NSW 2000. Open daily, closing at 8 p.m. during “Down Under” summer and at 5:30 p.m. in winter. Although not a tourist-oriented botanical garden in the traditional sense, it would seem wrong to omit the Imperial Palace complex of Tokyo from this list. 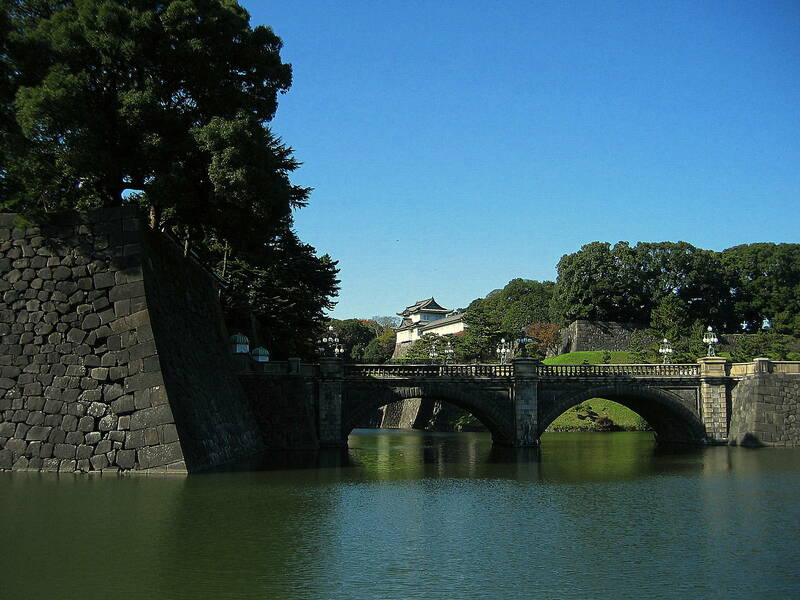 The palace is home to the Emperor of Japan, and its interior is open to the public just two days a year. The entire complex, an urban island in the center of the world’s largest city, is surrounded by a moat, it turn backed by a fortified stone wall. Not all of the impeccably-manicured gardens are open to the public, but those that are, such as Kōkyo-gaien, are harmonious and inviting. It took me over an hour to circumnavigate the outside walls, and it wasn’t until the end that I finally reached Seimon Ishibashi Bridge, which leads to the main palace gate and views of Edo Castle. It is at this spot, pictured below, that you will understand why most botanical gardens around the world try to incorporate a Japanese design element…and why almost all fall short. For a more tranquil garden experience, you can visit Meiji Shrine, also in Tokyo. The gardens are closed Mondays, Fridays, and New Year’s Day, and close at 4:30 all other days. El Jardín Botanico del Instituto de Biologia. Try saying that three times fast. The stupendous desert botanical gardens of Mexico City’s UNESCO-listed UNAM (National Autonomous University of Mexico) campus, in the southern end of the city near the upscale district of Pedregal, abut an ecological preserve, and together they sprawl for hectare upon glorious hectare. There are a few greenhouses, fern gardens, and even a waterfall. Mostly, though, you have desert plants, some 24,000 native species, ranging from pulque-sourced maguey to organ pipe cactus, spread across a rocky volcanic limestone, courtesy of Xitle Volcano, which last erupted circa ACE 400. Fun fact: I’m fairly certain I saw a mountain lion here once! Skip the disappointing Chapultepec Botanical Garden and come here instead. Circuito Exterior s/n, Ciudad Universitaria, Copilco, A.P. 70-614. 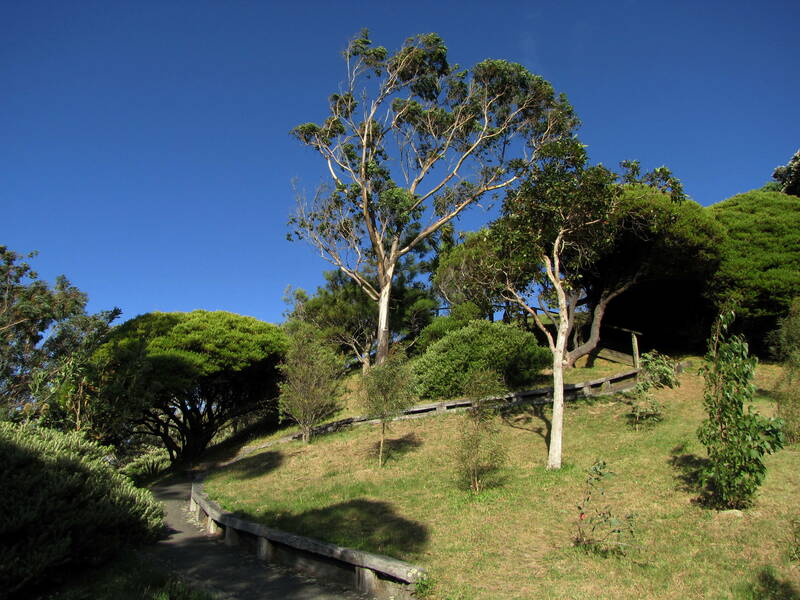 Open daily at 7 a.m.
Twenty-five hectares (62 acres) of hilly land just uphill from the capital city’s CBD are pockmarked with native plants and trees, all connected by a series of pathways that will lead you downhill to Lambton Quay, where the city’s popular Cable Car departs. (The Wellington Cable Car Museum, a fun diversion for the little ones, is located adjacent to the garden’s entrance atop the hill.) I was most taken with the lush Cacti and Succulents Garden, with the Lady Norwood Rose Garden, which is situated in a natural bowl and thereby protected against “Windy Wellington’s” notorious gales, and with the stupendous views. 101 Glenmore Street, Kelburn, Wellington 6012. Open daily except for Christmas, New Year’s Day, and Good Friday. Incidentally, the Knoxville Botanical Garden and Arboretum, about which I began this post, is at 2743 Wimpole Avenue, Knoxville, Tennessee 37914. It is open daily until sunset. 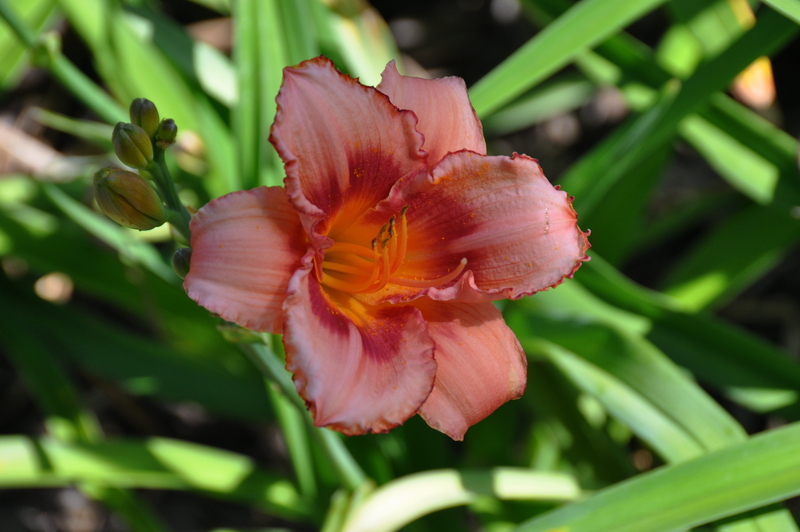 What are your favorite botanical gardens? 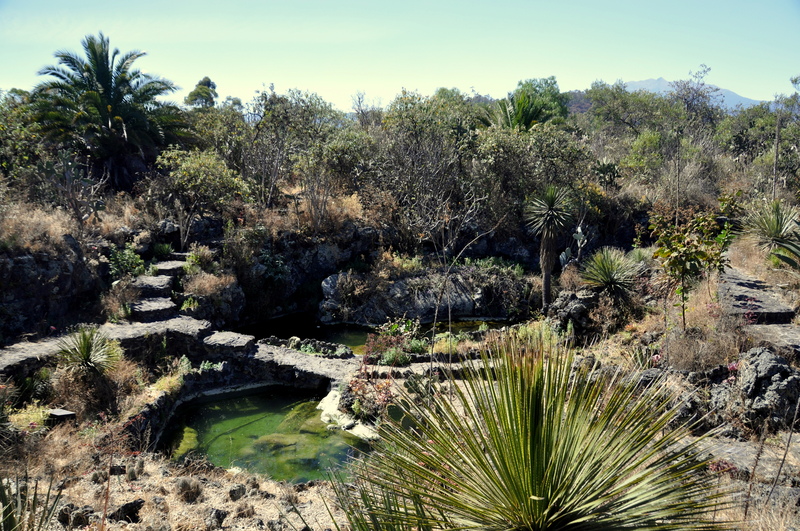 Yes, the UNAM Botanic Garden in Mexico City is very cool. However don’t discount the Chapultepec Park Botanical Garden. It has recently been renovated, and is now worth a visit.